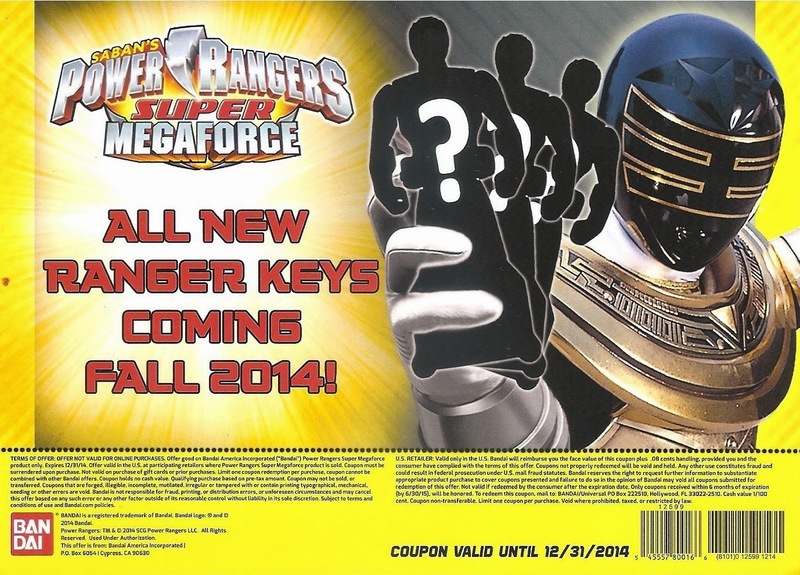 Tokunation › Power Rangers › Fall 2014 Super Megaforce Ranger Key Assortments Revealed! 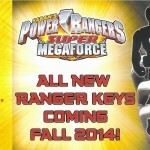 Fall 2014 Super Megaforce Ranger Key Assortments Revealed! That’s 15 more previously unknown packs along with the last 3 on the list, MMPR C & D as well as Super Megaforce C which are said to be coming soon. Making a grand total of 18 new Ranger Key packs. Get ready for the final hunt for Ranger Keys to start this Fall! A key pack was shown at Time To Play Mag and likely comes with a translucent SMF Blue, Pink and Silver. Not confirmed if that was SMF C.
I found a new Key Pack listing at TRU separate from the current one we've seen all year. That's 15 new key packs under this new listing. I don't have names of these 15 yet. I will soon, hopefully. This brings us to 18 more packs coming in the near future. That's 54 more keys. Just counting the key packs, how many Rangers are missing? There's the female Rangers minus Super Megaforce Yellow and Pink (Obviously), RPM Yellow, Jungle Fury Yellow, Ninja Storm Blue and Zeo Yellow, the Sixth Rangers minus Super Megaforce Silver (Again, obviously), Robo Knight, Titanium Ranger and MMPR Green and White, and the Extra Rangers. And since they were all shown at both SDCC AND NYCC, we know they're on the way. I said Key packs only. Robo Knight and Titanium haven't been in Key packs yet. SM Silver was seen in one so he should be one of those 18 packs. That's what I've got. You could take some off to shorten the number, like the ones not shown in the Scanner app. No, that's correct. You got all of them. Here's a shot from Facebook. There are 99 keys in the picture. What Facebook page is this from? Someone named Dave from Facebook Rangers.